We believe SUCCESS IS BEING CONNECTED! A360 offers fiber, cable and 3G/4G/LTE wireless broadband service. We provide products to meet your every business need. Do you need to monitor and filter remote or home office employees, try our LTE Wireless Broadband service. Use our web portal for managing and tracking device(s) data usage and filtering policies. 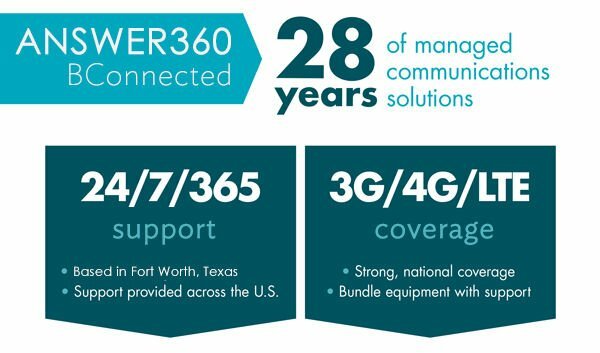 Consolidate your mobile wireless requirements using Answer360’s LTE Broadband products. 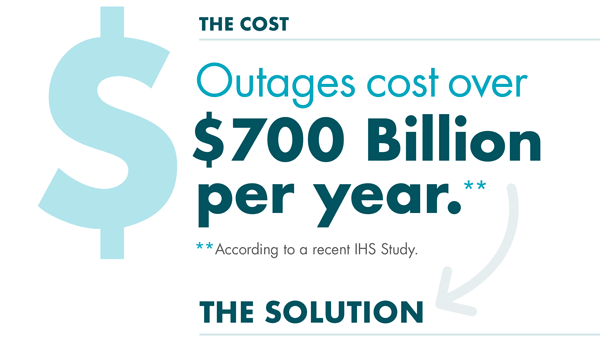 Fully Managed connectivity and failover via Wireless : Secure, Reliable and Proven. 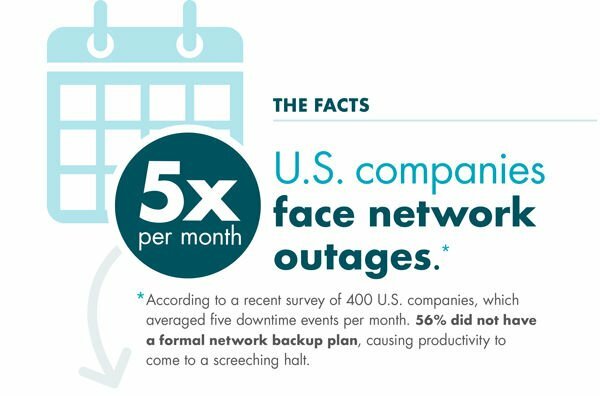 Given the significant risk exposure of downtime, companies are looking for a more robust way to manage their network and minimize the effect that downtime can take on their business. Answer360 provides a reliable, convenient, and affordable method for delivering business continuity to SMB and enterprise customers. Leveraging 4G wireless networks, our Fail Over Service (BConnected) keeps your businesses running even when a network outage threatens your primary network.